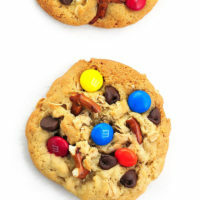 These Monster Cookies made with oatmeal, chocolate chips, pretzels and M&Ms will please even the pickiest of cookie monsters. Last week I enjoyed a cup of coffee at a lovely hipster-ish coffee shop. It was a cool place with a neat vibe. Handwritten chalkboard menus were filled with breakfast offering and baked goods. One item that caught my eye was a sweet onion, rosemary, blueberry scone. To be sure I asked the barista if that was for three different scones or if one scone had those three things in it. Sure enough, each scone had onions, blueberries and rosemary. An interesting scone fusion of flavors, for sure. I’m sure it was a delicious sweet and savory combo. For some strange reason those scones reminded me of these Monster Cookies I made a while back. But unlike the scone combo, I don’t think anyone will question this sweet combination. 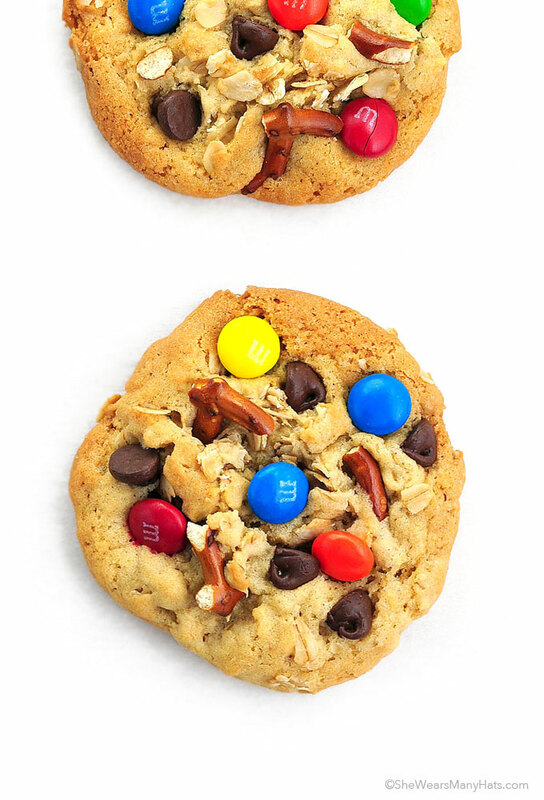 Chocolate chips, oatmeal, M&Ms, and pretzels come together to create one good cookie. Like all the yummy stuff you hide in the back of the pantry packed into one cookie kind of good. 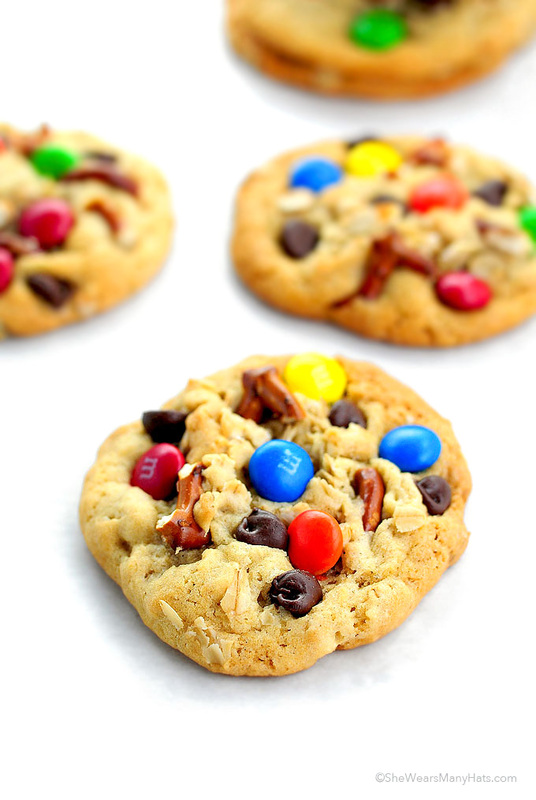 These everythingbutthekitchensink cookies are the perfect sweet treat for any occasion. 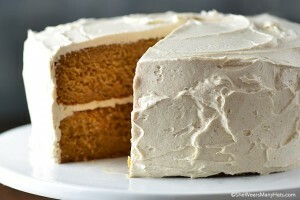 So go ahead, gather all the goodies and make a batch! 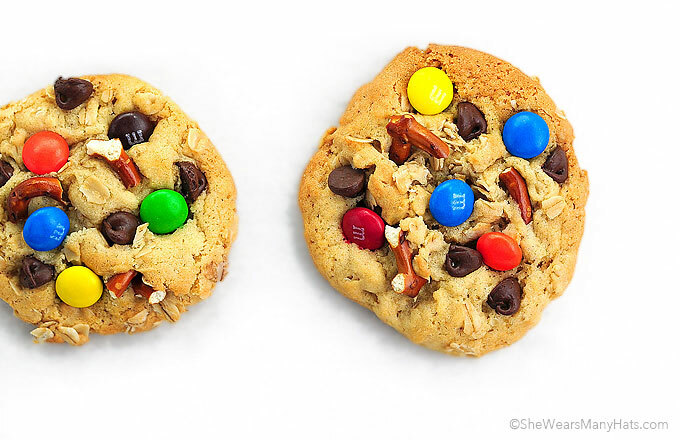 Monster Cookies are easy to make following basic cookie prep. Begin by preheating the oven to 350-degrees F and line baking sheets with baking parchment. Whisk together flour, baking soda, salt, and cinnamon in a large mixing bowl. Set aside. In a separate large mixing bowl, cream together butter, granulated sugar and brown sugar until smooth. It takes about two minutes. Next, add in eggs and vanilla and mix until smooth. Stir in the flour mixture along with the oats and stir until combined well. Finish by folding in the chocolate chips, crushed pretzels and chocolate covered candies until fully incorporated. Scoop cookie dough onto prepared baking sheet spaced apart to allow for cookie to spread slightly. Finally, bake for 9-10 minutes, or until lightly browned. These cookies have a little bit of everything for the cookie lover. Preheat oven to 350-degrees F. Line baking sheets with baking parchment. In a bowl, whisk together flour, baking soda, salt, and cinnamon. Set aside. In a separate large mixing bowl, cream butter and sugars together until smooth, about 2 minutes. Add eggs and vanilla; mix until smooth. Add flour mixture and oats; stir until combined well. Fold in chocolate chips, crushed pretzels and chocolate covered candies until incorporated. Scoop cookie dough onto prepared baking sheet spaced apart to allow for cookie to spread slightly. Bake for 9-10 minutes, or until lightly browned. These look like the best monster cookies ever! I’ve gotta make em!